Got content for our newsletter, The Baardskeerder*? Lekker – here’s where you can submit info. When does The Baardskeerder go out? During the busy period of our year (January – June) newsletters go out roughly every two weeks, other than during the lead-up period to our main event – for example in April, when they’re weekly. From June to December, they’re content dependent and might go out every two weeks, and sometimes less frequently. To ensure your content is included, please submit by no later than 6pm on the day before each scheduled send. A short and engaging blurb for your submission (max 1000 characters). Include a contact email for your submission if you want people to get in touch. *a baardskeerder is a Solifuge: a kind of insect, an arachnoid, that’s found in the Tankwa Karoo. 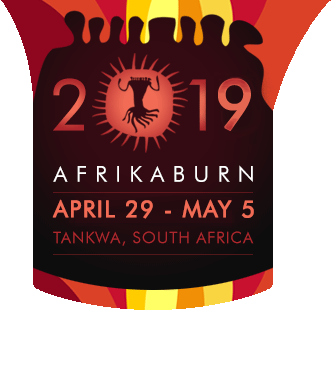 Interested in the history of AfrikaBurn? Check out our newsletter archive for snapshots of news, art, theme camps, funraisers & loads more from years gone by.